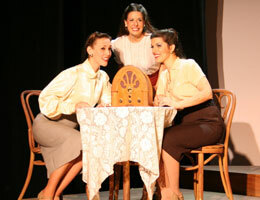 Photos: Left - Bridget Beirne as Maxine, Sarah Corey as Patty, and Amy Barker as Laverne. 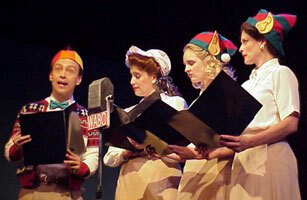 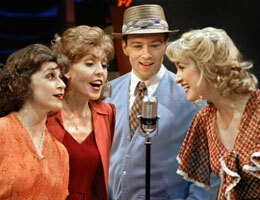 Right - Bridget Beirne as Maxine, Amy Barker as Laverne, Steve Gagliastro as Bing Crosby, and Sarah Corey as Patty. 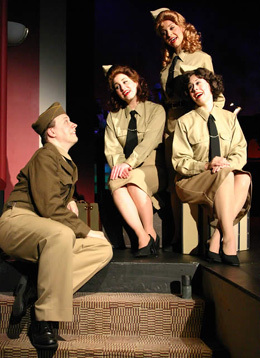 photos: (top left, l to r) Hugh Adams (Soldier), Judy Fitzgerald (LaVerne), Claci Miller (Patty), Cynthia Collins (Maxene); (top right, l to r) Cynthia Collins (Maxene), Claci Miller (Patty), Hugh Adams (Carmen), Judy Fitzgerald (LaVerne); (bottom, l to r) Cynthia Collins (Maxene), Claci Miller (Patty), Judy Fitzgerald (LaVerne). 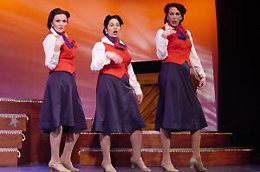 Photos by Chuck Tedder. 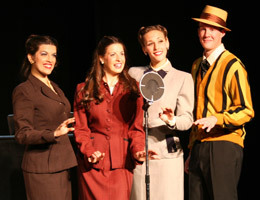 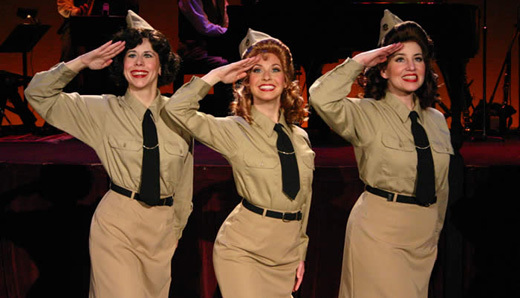 photos (left to right): Terrell Hardcastle, Nicole Fenstadt, Kim Kozort, and Stephanie Wahl as Danny Kaye, Patty, Maxene, and LaVerne; Kim Kozort as Patty. 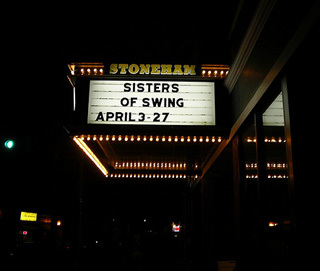 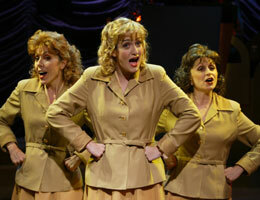 all photos: Melissa D'Amico as Patty, Zanna Fredland as Maxene, and Stacie May Hassler as LaVerne. 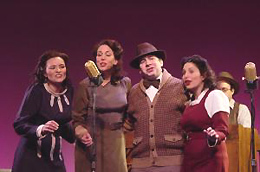 Right: Marybeth Graham, Jennifer Swiderski, and Irene Adjan as LaVerne, Patty, and Maxene Andrews; Left: Adjan, Graham, Terrell Hardcastle (as Bing Crosby), and Swiderski. 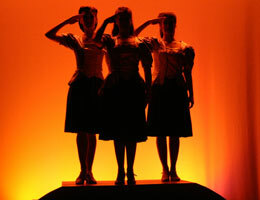 All photos by Bruce Bennett. 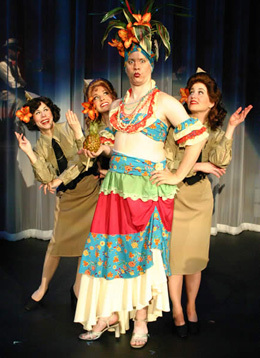 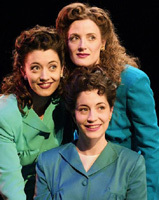 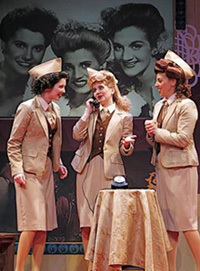 photo (clockwise from left): Christina Baldwin as Patty, Norah Long as LaVerne, and Jennifer Baldwin Peden as Maxene.